Yesterday we presented The Meating Room with a framed WMFC Jersey, in appreciation for their sponsorship & support to the Senior arm of the club over the last 3 years. Chris Webb holding the 2018 Capital Football State League Champions trophy . We look forward look forward to our ongoing community connection. Congratulations to our Women National Premjer Reserves !! Sweet Grand Final winning team against Belconnen United Blue Devils. 4-0 Wanderers!! Well done ladies and coach Andy Munoz. The WMFC committee recently held a small "Appreciation Ceremony" for one of our fantastic WMFC family . A full size portable Bownet was presented to jack for yet another year of dedicated personal training he makes available to WMFC juniors. Congratulations to our Men’s Master Div2 team, who were 4-0 winners over Belnorth Football Club in their 2018 Grand Final this weekend at UC fields!! Well done lads. Congratulations Capital League Reserves on your 4-1 grand final win Saturday 1st Sept afternoon to net the double - 2018 League Champions and Premiers. Congratulation lads , well done. This morning the NEW Senior container was set in place. It will finally give the senior teams dedicated space for nets, balls, flags etc. All gear a team needs to train and play for WMFC. It has been fitted out inside with lockable cages. Info for seniors merchandise shop open tonight 4th April and tomorrow 5th April to purchase WMFC kit before the opening round. Infomation also for Mini roo parents about the Miniroo open Info day this Sunday 8th April at Waramanga Oval from 12pm for U6's, U7-U9 later times. See details below. 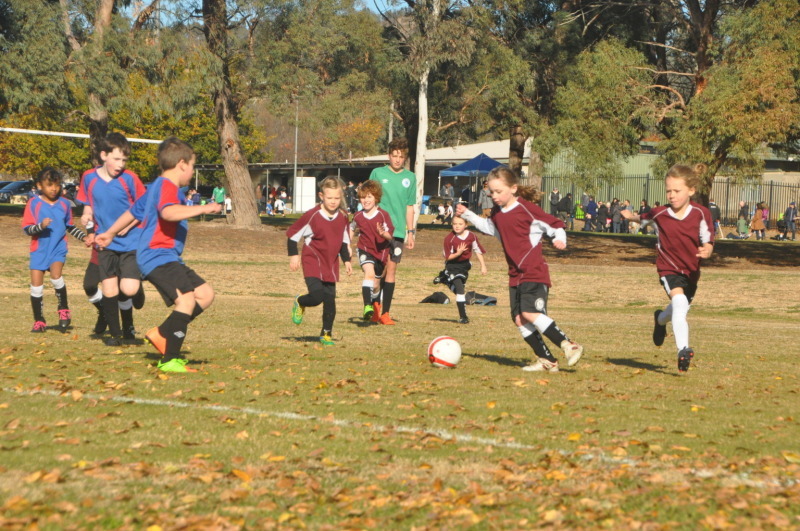 Also Miniroo and Juniors annual coaches and manager meeting on Monday 9th April 7;30pm Stromlo High Hall . The WMFC Girls Trials for Division 1 and 2 teams will be on the 13th, 15th and 17th of March for all Girls teams from U10 to U18.All Times and details you need to know are inthis article. New Coaching Resource for all Current and Prospective Coaches. Pre-season Girls Development Training will start from Tuesday the 6th of February 2018. We will run the program twice per week until grading on both the Tuesday and Thursday evenings on Field 2 in front of the Canteen. 2018 Registration is now OPEN and included in this news article is Junior Grading info for Parents and Players from U10 -U18. for the open competition ( boys and girls that wish to play against boys) is listed for 11,12,18 and 19th Feb 2018. Register now on www.playfootball.com.au website and attend grading trials for Div1 or Div2 teams.All players attending must be registered. WMFC partners with KitAID donating our old footballs to help Kids in Gambia. Jack Kynaston makes himself available on Saturdays during the regular season ( which starts 6 May 2017) and on Sundays from 27th Feb 2017 between 2-4pm on the far practice net ( or down on field 107) to ready our young players for their matches. Jack is a great mentor and offers the chance for your COMMITTED and DEDICATED junior player between U12-U18 to be mentored in playing better football.